Can be used for indoor or outdoor applications that require corrosion protection from chemicals and water. Steeline “SS” Series Free Standing Enclosures provide protection where equipment may be hosed down, is in a very wet environment, or for outside applications and uses. 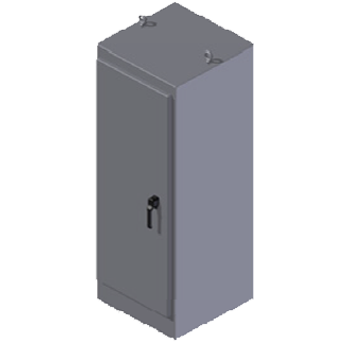 Use these enclosures in applications that are either indoor or outdoor, or in applications that are frequently exposed to liquids or other harmful contaminants. 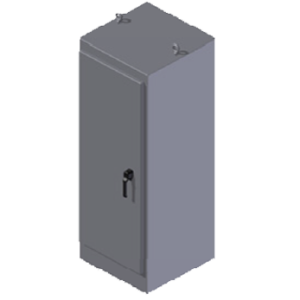 The “SS” Free Standing Series was made with a #4, stainless steel brushed finish, carbon Steel housing and doors (304-316L), ANSI 61 gray powder paint, a powder paint over phosphate surface, and optional mounting panel. 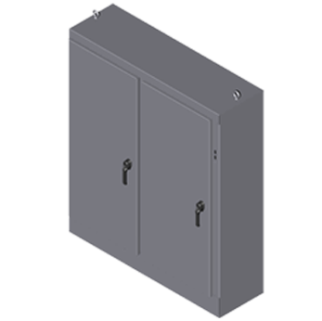 Equipped with mechanical interlock on master door, operator adapters may be used to fit most disconnect operators in universal cutouts on flange.